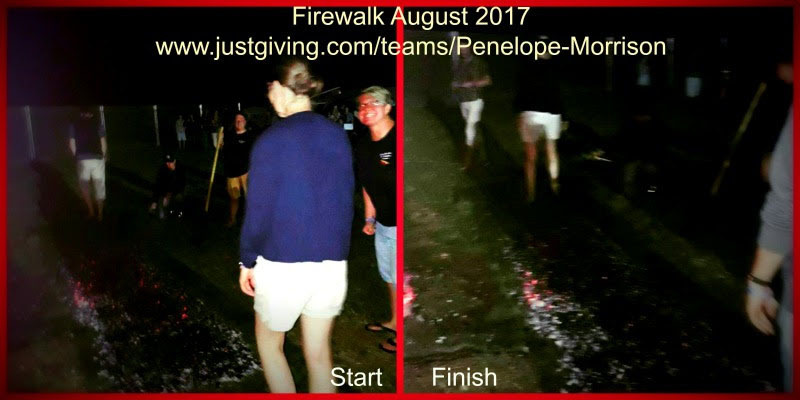 As many of you know, I recently did a sponsored firewalk; this was to raise funds for The Miscarriage Association and Mind. In preparation for the firewalk we attended a workshop. During the workshop we were encouraged to discuss our fears, our mindset, our hopes and dreams. We had a number of exercises to prepare, including walking on broken glass – which I did. However, the main thing that stayed with me was the sign that was held up briefly, which we were asked to read and say what we had seen. The sign said “Opportunitynowhere”. What do you see, how do you read it? Most of us read the sign as “Opportunity Nowhere” and then it was pointed out to us that it also read “Opportunity Now Here”. And how true that is. How often do we see the negative things in life? Lack of opportunity? Most of the time I endeavour to think positively, but it is not always easy. This was such a good reminder that Opportunity is Now Here and we just have to take it.